John now represents clients on both personal and business legal matters. Oddi v. Ayco. 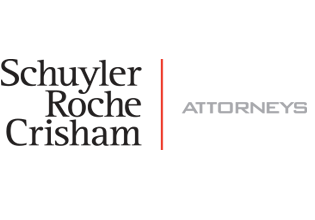 John helped Schuyler, Roche & Crisham succeed in persuading a court that adverse tax consequences resulting from a financial planner's bad advice are recoverable. The win was announced on the front page of the Wall Street Journal. George F. Harding Museum v. United States of America – John helped Schuyler, Roche & Crisham defeat a $30 million jeopardy assessment the IRS had made against the assets of the museum. The case was reported on the front page of the Daily Tax Reporter of the Bureau of National Affairs. People of the State of Illinois ex rel. William J. Scott v. Herman Silverstein— John helped Schuyler, Roche, & Crisham defend against a jeopardy assessment by the IRS against the Illinois Attorney General’s office. Chair of the Make a Difference Scholarship Committee of the Rotary Club of Park Ridge, which has granted $17,500 in scholarships to Park Ridge students. J.D., Northwestern University School of Law, Dean's list (1977), Wigmore Scholar nominee, social committee chair, Evanston, Illinois, 1979. B.S. with Honors and Distinction in Accounting, Beta Gamma Sigma, University of Illinois at Chicago, 1975. Investment Advisor Representative, since 2003. Personal Financial Specialist, since 2002. Insurance Producer Licensee, since 1999. Certified Public Accountant, since 1976. St. Ignatius College Prep, Honors Diploma, Chicago, Illinois, 1968. Scholarship recipient, Jewel Food Stores, 1968. Martindale-Hubbell, "peer review rated for ethical standards and legal ability," since 1992. Rotary Club, Park Ridge, Illinois, 1993 to 2007; Fundraising Committee, chair, 2002, 2003, 2005 and 2006; Make a Difference Scholarship Committee, chair, 2003 to 2005; Park Ridge Rotarian of the Year, 2002 to 2003; Social Committee, chair,1993 to 1996 and 2002 to 2005; treasurer,1994 to 1997. Junior Achievement, Mary Seat of Wisdom School, Park Ridge, Illinois, and Devonshire Grade School in Des Plaines, Illinois, first-grade instructor, 2005; Carpenter School, Park Ridge, Illinois, fifth-grade instructor, 2006.